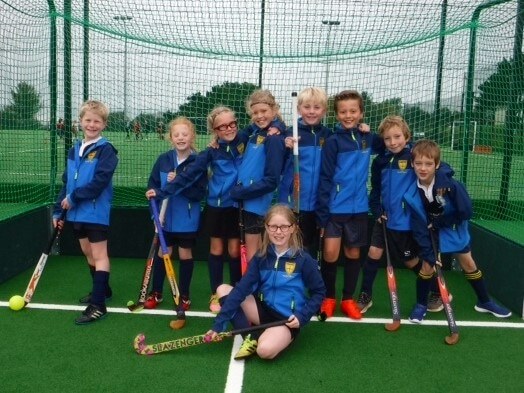 We took a team of nine to represent Compton at the Plymouth Schools Hockey Tournament, Charlie Escott, Ellie Prigg, Emily Edwards-Smith, Isla House, James Leidig, Kat Frost, Tom Palmer, Will Edwards-Smith and Will Pooley. We started brilliantly with a 3-0 win over Dunstone, with some great movement and well worked goals. Our next game against Whitleigh was hard fought, they were bigger, older and more experienced we narrowly lost 1-0. With all to play for in the third game we tried our hardest but again size and experience was against us but our hard work and determination resulted in a 0-0 draw guaranteeing us the bronze medal. We had a lot of fun and with a team made up primarily of year 5 and below bring on next year.